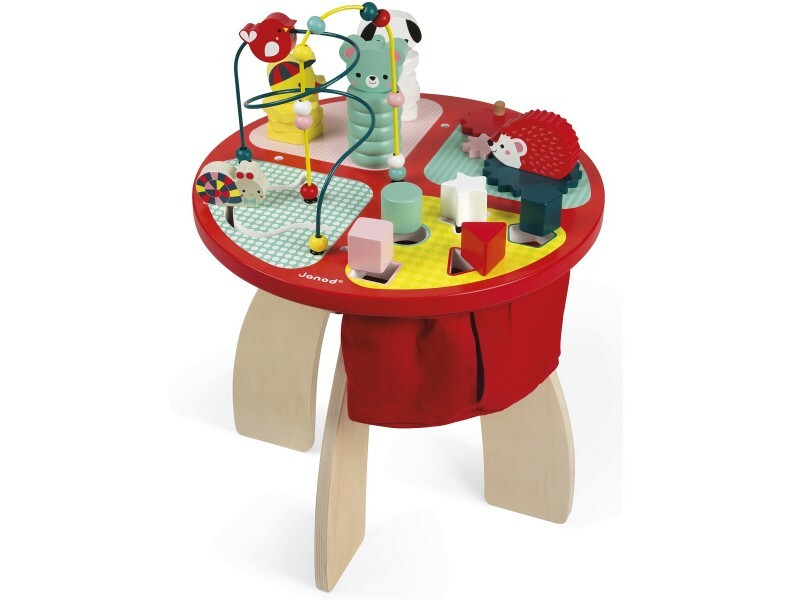 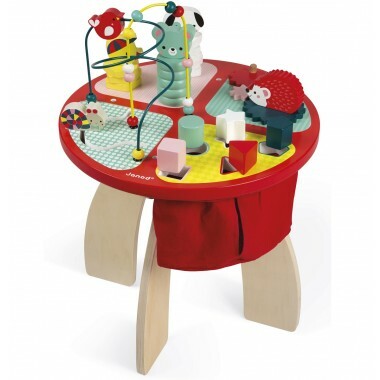 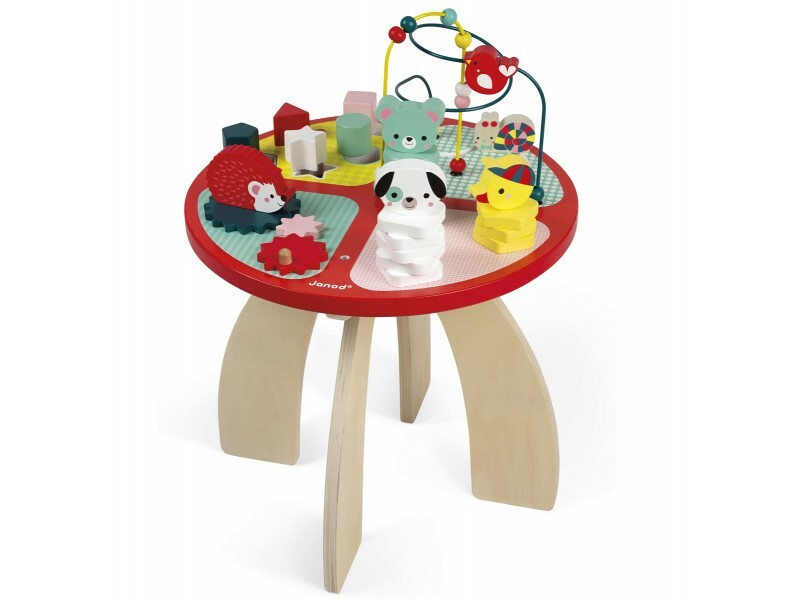 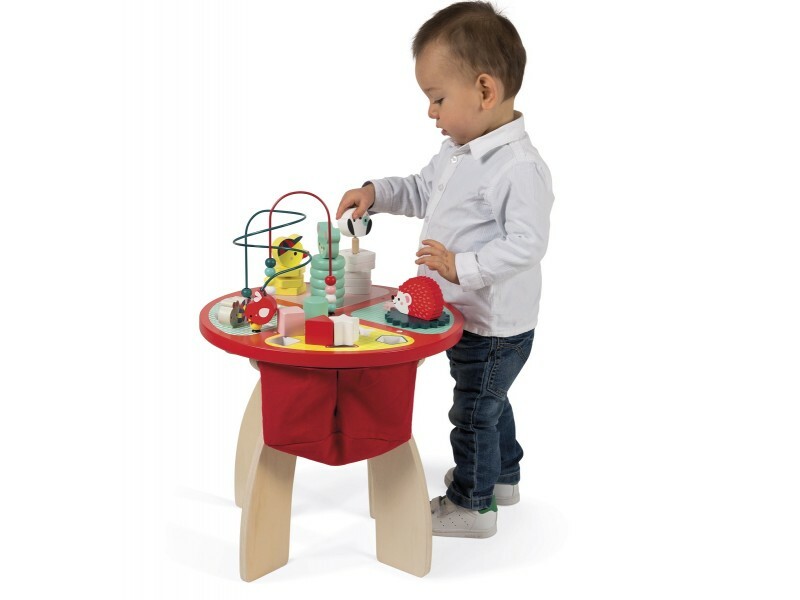 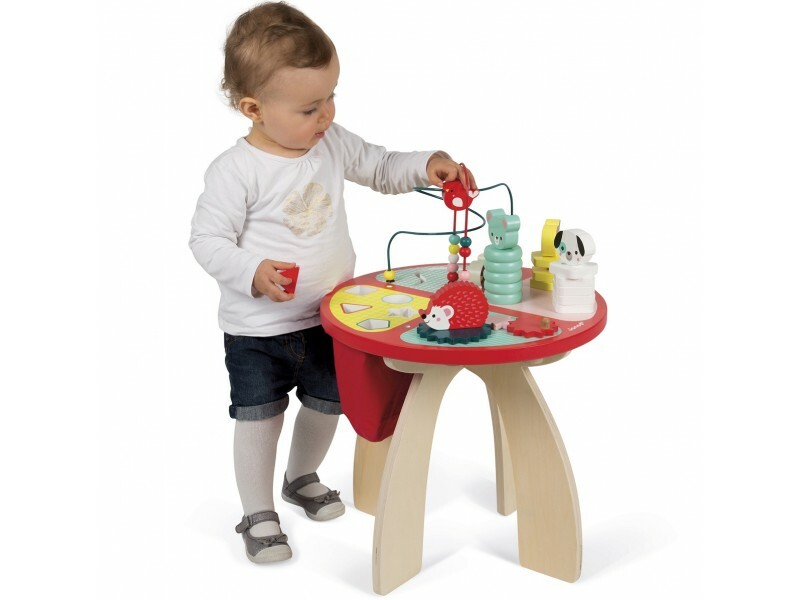 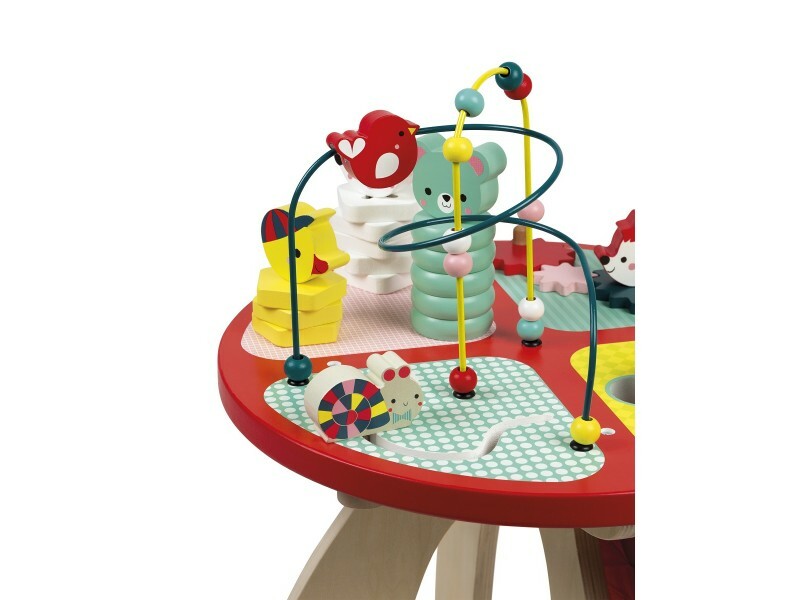 This beautifully crafted wooden Baby Forest Activity Table from French toy company Janod, will keep preschoolers busy and active for hours! 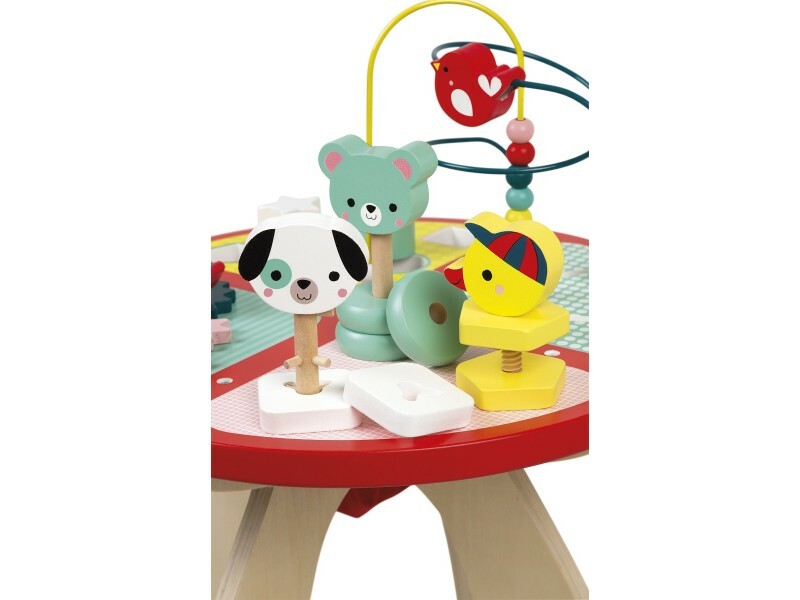 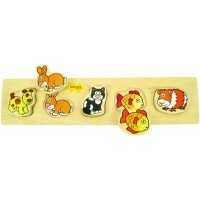 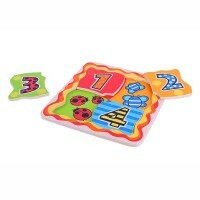 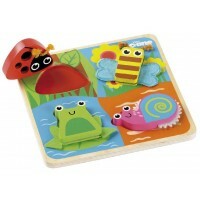 - Build a puppy, duckling and bear cub by solving the stacker puzzles; each has 3 to 5 color-coordinated wooden pieces that only fit on a specific peg; screw, twist and place the pieces where they belong, then add the matching animal head! 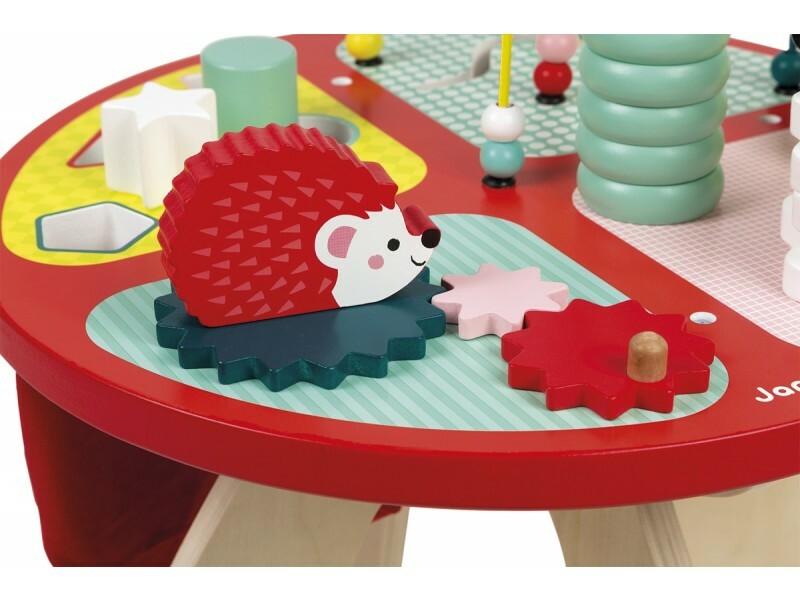 - Spin the baby hedgehog to make all the gears on the table spin. 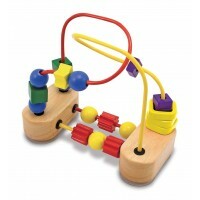 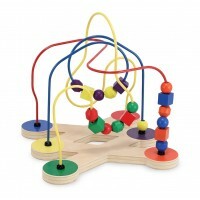 - Fly the bird and the beads through a fun bead maze and race the snail around the track below. 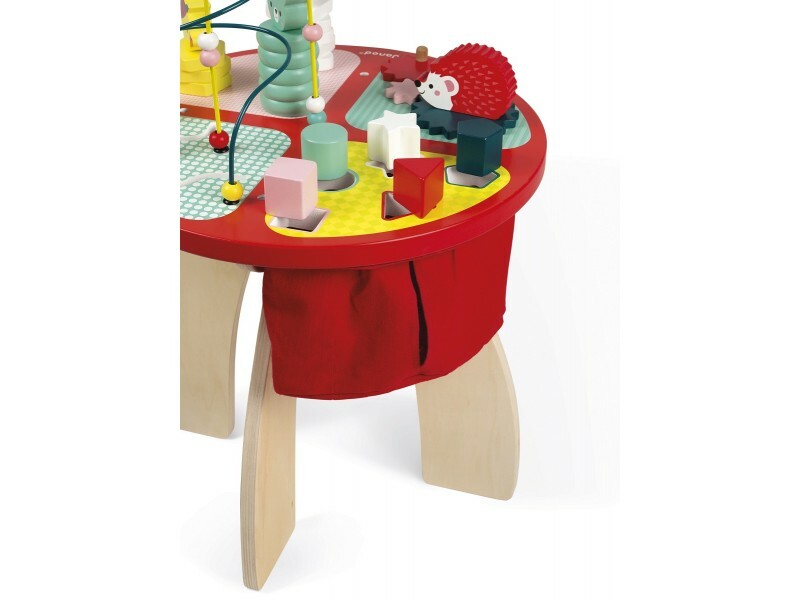 - Sort colorful shapes through holes in the tabletop, then grab them from the canvas bag under the table to start over again.